The problem of male judges bullying female barristers in court has been exaggerated, the Lord Chief Justice suggested yesterday. But Lord Burnett said he was concerned about reports of sexism at the criminal Bar leading to women leaving the profession, and the impact this would have on the judiciary. Giving evidence to the House of Lords’ constitution committee, he was asked about a speech he gave in February which addressed the problem of sexism and the need to call out judges who did not behave appropriately in court. Lord Burnett explained that he made the comments in the context of a debate at that time over the sexism faced by some women at the criminal Bar and how it was contributing to some leaving the profession. The judge said the discussion included anonymous examples of judges behaving badly in court. “We hunted high and low to try and identify the examples that were being referred to and it turned out to be a handful. He added that, of the “hundreds of judges who sit in the Crown Court and the family court, if there is a problem of this nature, it is a problem that affects only a very small number”. Lord Burnett said he was not aware of “any evidence at all” that women were deterred from applying for judicial office by the attitudes of judges. If there were concerns about the way particular judges behaved, he said practitioners should either raise it with their local leadership judges or, for more serious issues, complain to the Judicial Conduct Investigations Office. Judges, Lord Burnett continued, should be courteous and calm, and should “not display behaviour which is unreasonably putting pressure on people”. There were, of course, “lapses” and sometimes there was “a backstory” as to why a judge had behaved in a particular way, like in any walk of life. Committee member Baroness Corston said that badly behaved judges probably behaved badly while at the Bar too. Recalling her short period of practice while in her late 40s, the former Labour MP said: “I noticed that quite a few older barristers behaved in what I would call a quite sexualised way when they were changing in the robing room. Lord Burnett said the Criminal Bar Association recognised that it was, although he thought it was not just an issue for the Bar. “In the context of the practice I had at the Bar – which wasn’t a criminal practice – that sort of behaviour just wasn’t apparent. So it both surprises me and frankly distresses me. This then had a knock-on effect when it came to recruiting judges to sit in the criminal courts, he said. On other issues, he highlighted the Judicial Appointments Commission’s failure to recruit enough lawyers of sufficient quality to fill vacancies on the High Court and circuit bench. There was a district judge competition running at the moment and Lord Burnett said he was “nervous that it will not deliver the number of judges we need”. By contrast, competitions for fee-paid judges have been very successful and 300 deputy district judges have been recruited, which he said would help solve the problem of courts which were “ready and able” to sit but for the lack of judges. 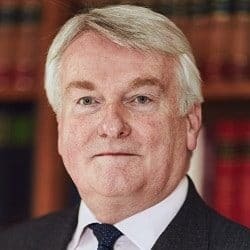 He criticised media reporting of the judiciary, in particular a recent incorrect story that training for fee-paid judges was being cut when actually it was being increased, and said it was “worrying” that stories of this nature “gain such currency”. He also suggested that parliamentarians needed to show more respect and understanding of the role of judges. “There have been instances, including quite recently, of a lack of comity being shown by individual legislators towards court decisions, for example, which I suspect would have been unthinkable 50 years ago. “When one looks at questions such as parliamentary privilege, and scan through what happened since 1689 onwards, it appears that for the thick end of 300 years, it did not occur to any legislator to use the privilege to set at naught the order of the court. There was a concern among “many judges” that they were seen as civil servants rather than constitutionally independent, the Lord Chief said. On Brexit, Lord Burnett said there were contingency plans in place for the courts most likely to be affected – such as the Administrative Court and Business & Property Courts – to have additional support staff and more deputy judges available to deal with urgent applications.